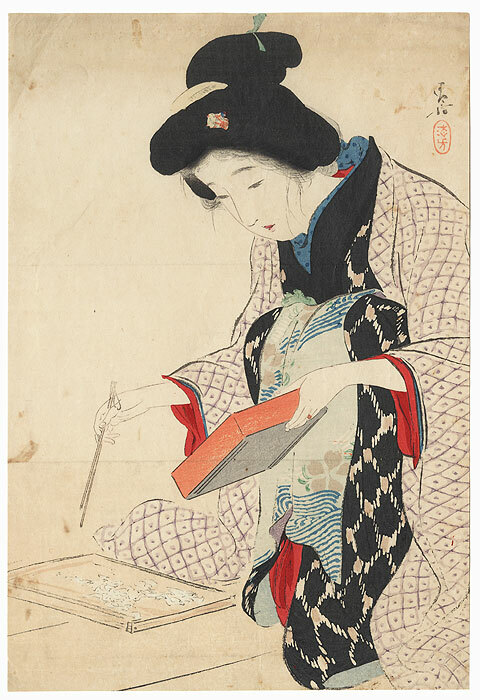 Comments - Interesting kuchi-e scene of a beauty using chopsticks to choose morsels of whitebait fish from a wooden tray on the floor before her. 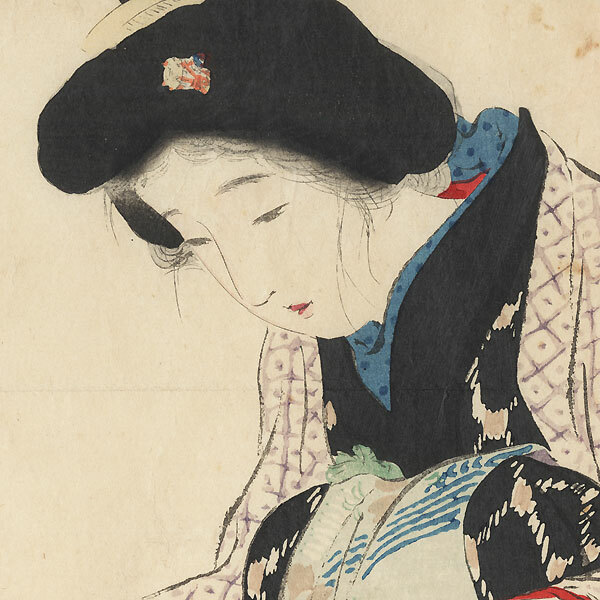 She holds a red lacquer container in her other hand as she looks down, absorbed in her work. 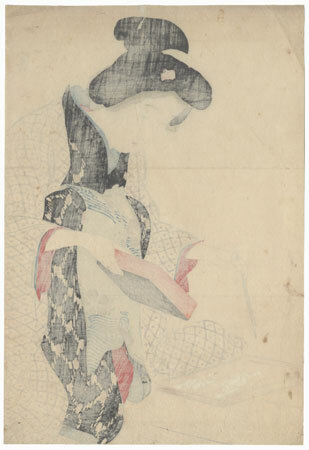 Nicely detailed with burnishing on the hair and black kimono collar. Image Size - 11 3/4" x 8"
Condition - This print with excellent color and detail as shown. Two horizontal folds. Slight toning, soiling, and creasing, a few stains. Please see photos for details.